Birthday time has just been for Willow, and there has been much fun with the making and decorating of cakes. The first cake to be completed was a chocolate goldfish cake, that was a bit of a challenge to get the gold leaf onto. 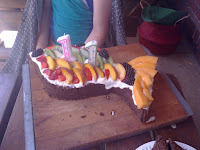 Cake no 2, the main birthday cake was more successful, a lovely fruity fish. 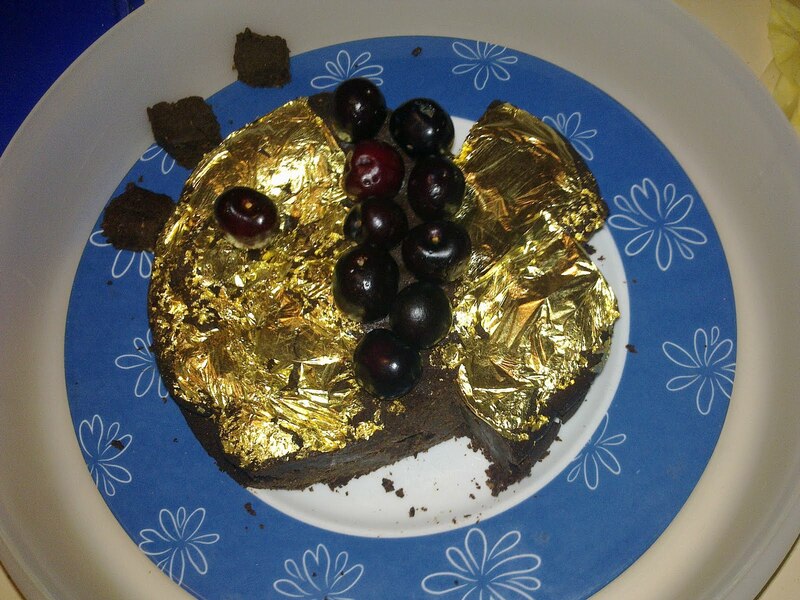 Looked very nice IMO.